Founded in 1973, Tidewater Fibre Corporation (TFC) is a privately held and family-operated business. TFC Recycling is Virginia's largest residential curbside recycler. Through our partnerships and agreements with local and municipal governments, and public service authorities, we provide recycling services for over 7OO,OOO households in six of Virginia's largest cities, and more than 4,OOO commercial customers in Virginia and North Carolina. Headquartered in Chesapeake, Virginia, we employ over 35O people and operate more than 18O collection and transfer vehicles. We pioneered the first automated Material Recover Facility (MRF) on the East Coast. 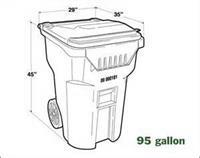 We continue to revolutionize the industry through our use of single stream recycling which allows customers and residents to throw plastic, paper and glass recyclables in one recycling container. No sorting is needed. 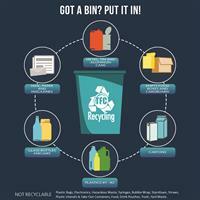 When recycling is easier, overall participation rates are higher. Our investment of this state-of-the-art technology ensures more recyclables are captured and processed efficiently and collected by an increasing number of TFC trucks that operate on Clean Natural Gas (CNG). TFC innovates the recycling process by finding new markets for hard to recycle materials, such as electronics and organics. We also offer an online rewards program called Recycling Perks, which encourages higher participation rates for maximized diversion.